Thanos, in preparation for the release of the new Avengers movie, seems to be returning to Fortnite. Can you handle the power of the Infinity Gauntlet? Well, it seems that Marvel, Disney, and Epic Games are about to unveil the second coming of their partnership for the Avengers franchise. 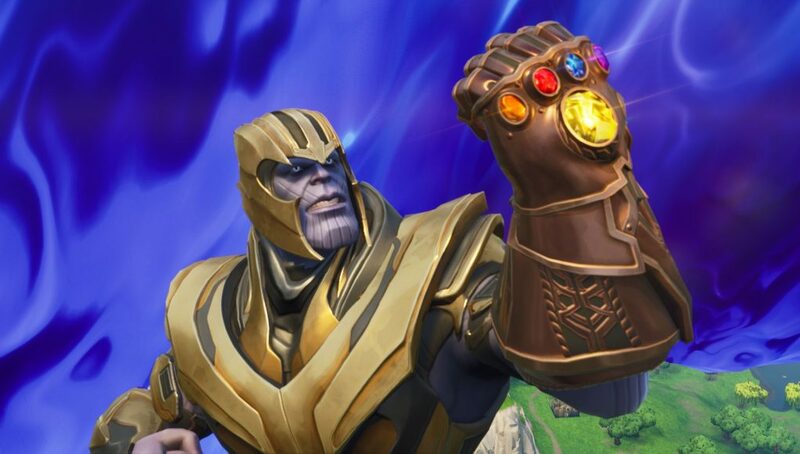 Thanos is returning to Fortnite in the (presumably) near future. Though, he won’t be just wiping out half the lobby…he’s intent on being the last one left standing. So, how do we know that Thanos is returning to Fortnite? Leakers and data-miners, of course. What would we do without them? This leak comes from the @SkinTrackerCom Twitter account. In a tweet early in the v8.30, the data-miner uncovered a plethora of new kill feed messages. Most of these were not anything special, just new variations of old messages, but one caught our eye immediately. While it’s not absolute proof that the Thanos LTM is returning, the timing seems to be essentially confirm it. The kill feed line was added for v8.30 and EndGame arrives in theaters on April 26th…in 16 days. The perfect amount of time for a nice LTM run. For those players that did not get a chance to play the original iteration of the Infinity Guantlet LTM, let’s do a quick rundown. The game mode played essentially the same as normal Battle Royale with one key difference. The powerful Infinity Gauntlet arrived on the map shortly after players had landed. The Gauntlet was visible to all players on the map and could be picked up after a short delay. 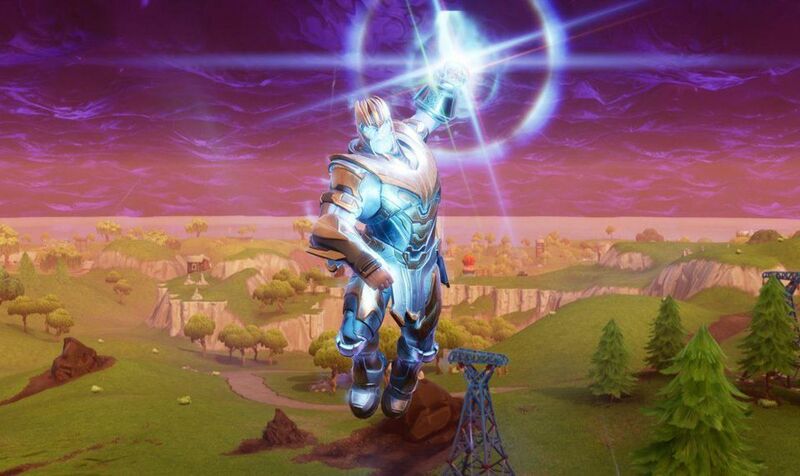 Upon equipping the Gauntlet, the player would transform into the almighty Thanos. Thanos also had both a larger than life shield and health bar. His shields automatically regenerated while outside of combat. Thanos cannot build (or does not need such petty human devices) and takes no fall damage. The game mode was played as Solos, but the interesting aspect was that players were essentially forced to work together to bring Thanos down. Players would form ragtag teams of Avengers to defeat him…and then swiftly racing towards the dropping Infinity Guantlet to become Thanos. Are you looking forward to the return of the most famous Fortnite LTM? Did you have a chance to play this mode the first time around?